To Be Here (2016) is a series of video works examining the long-term displacement of Sahrawi refugees living in camps in the Sahara desert region of Algeria. The Sahrawi people have been displaced through conflict since 1975, when forced to flee their homeland of Western Sahara when it was handed over by Spanish colonial powers to Morocco. The 180,000 plus Sahrawis in the camps represent those who continue to reject this rule and choose a life of uncompromising resistance. While the term refugee implies a temporary status, at least half of those in the camps have lived in impermanent habitats all their lives. 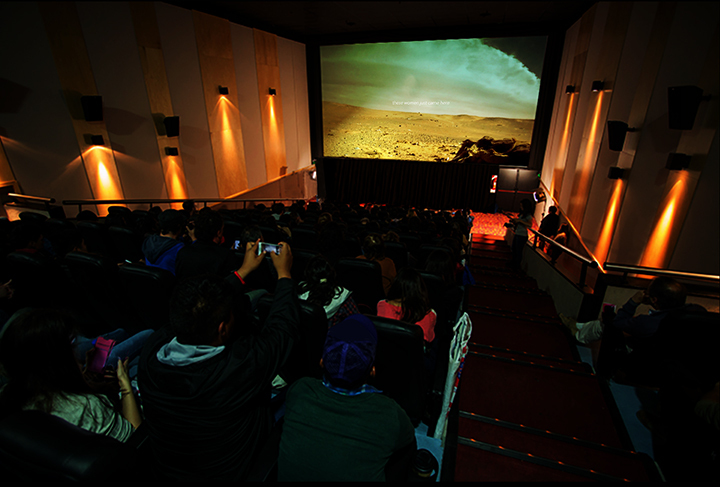 The project began with dialogue with local people who later took performative roles within the film. Shaping an alternative form of documentary, where staged performance, dramatic camera and personal narrative are interwoven, the artwork attempts to create a close-looking psychological truth, by paradoxically, using partially fictive, or staged, visuals. 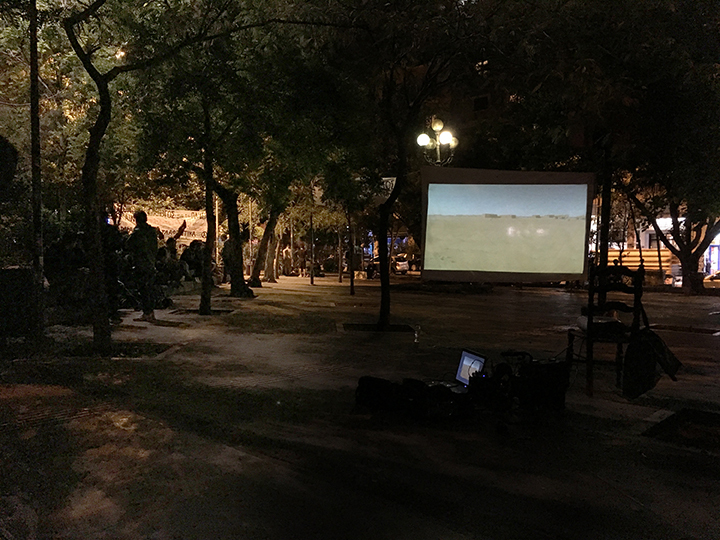 The on-location production was funded by the Cultural Association of Seville (as part of ARTifariti). 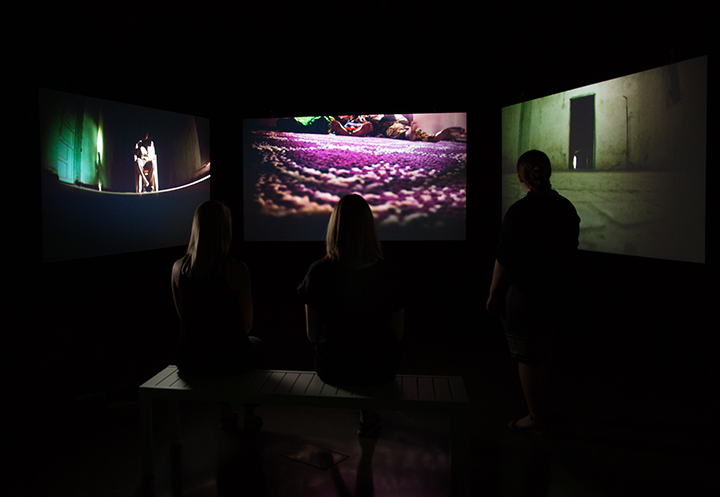 The work was first exhibited as an immersive installation, with octaphonic sound-scape by composer Rob Godman, commissioned by the Broad/MSU Art Museum, USA under the directorship of Michael Rush. A second commission funded a single-channel version, which included new material and collaboration with writer, Ben Rawlence (City of Thorns, 2016). In 2016/17 the work toured Europe as part of Después del Futuro (an ARTifariti project) which culminated in a screening in the refugee camps. In 2018, the work screened at the Biennial of Moving Image, Buenos Aires, and won the AHRC’s Research in Film Award. 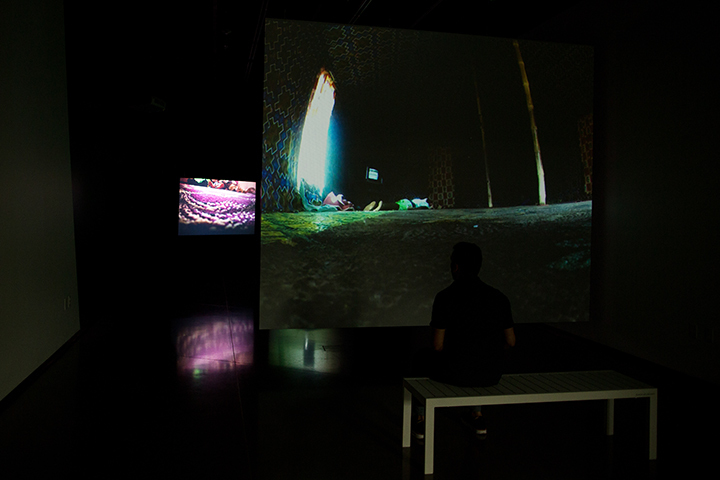 Four screen installation with octophonic sound at the MSU Broad Art Museum, USA, 2016. 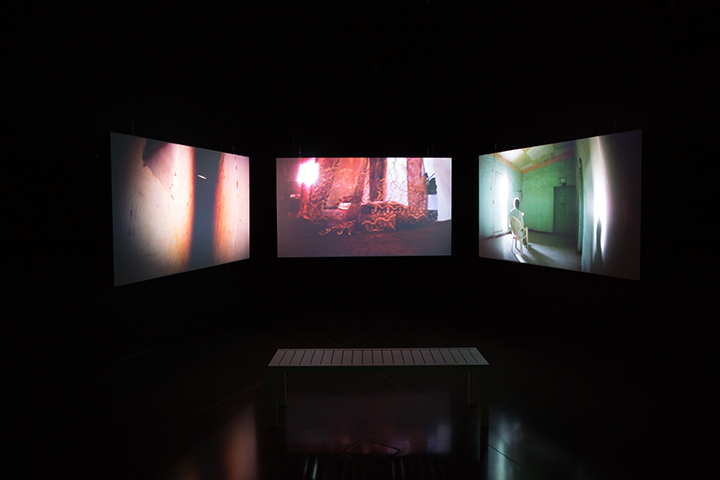 Three screen interior installation at the MSU Broad Art Museum, USA, 2016. To Be Here is draws from the on-going Disasters of Peace initiative, co-founded by Sam Jury and Kamila Kuc, that examines how languages of artist filmmaking can challenge representations of disaster, beyond the apparatus of spectacle perpetuated by mass-communication. 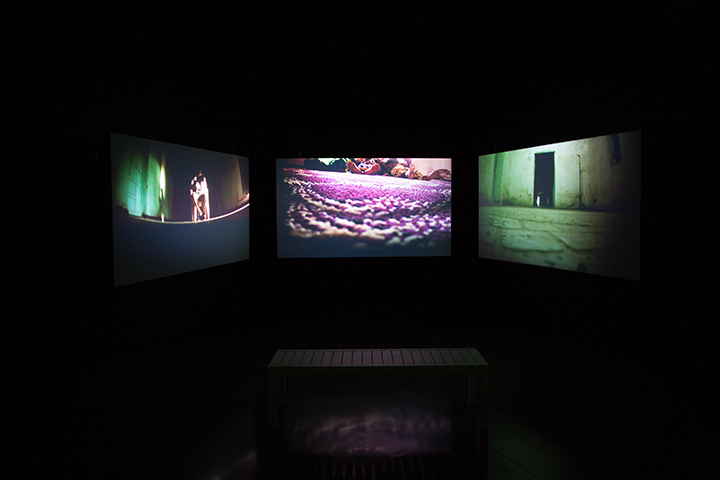 The focus of the initiative is to investigate moving image’s ability to communicate the long-term effects of interrelated disasters such as post-colonialism, war and climate change.